Bitcoin just survived one of its biggest corrections in past months, dropping down from being just over $10,000 to almost going below $6,000 per BTC. Amid the huge wave of panicky comments and fears this sharp decline brought, there was also another group of people with social media influence that remained positive during the selling storm – professional Poker players. Posting survival guides, jokes about investing, and even getting serious on advising future investors of Bitcoin, some players in the Bitcoin and Poker communities survived the latest price crash with an interesting sense of humor. One of the most notable supporters of Bitcoin and cryptocurrencies is heads-up NLH pro Doug Polk who amid the strong price correction on Monday went to Twitter to jokingly say that he hopes “everyone spent their Bitcoin for some Lambo’s in January. At this point it’s looking like a much stronger investment vehicle”. If you’re one of Doug Polk’s followers, you’ll know about his active involvement with cryptocurrencies and his YouTube channel “Doug Polk Crypto” where he posts video commentaries on cryptocurrencies and investing in Bitcoin. One of his latest uploads was titled “Top 5 Tips for Handling a Bitcoin Crash” and in it he humorously acts out common investment mistakes and shares his advice about what Bitcoin holders should do. And what’s his number one advice? – “Hold when things get tough”. Or as some crypto-enthusiasts would say: “HODL!” (Hold On for Dear Life). Fedor Holz – the 24-year old Poker pro who is one of the youngest to have accumulated over $25 million in Poker winnings – is another strong supporter of cryptocurrencies who found a sense of humor in turbulent times. While Bitcoin’s price was gradually declining on Monday, he tweeted “I think we just hit ‘sell your kids’ -zone”, mirroring suggestions from other investors that it was the right time to buy. The following day, though, he followed up with a warning to his advice by saying that investors should “make risk management a high priority”. 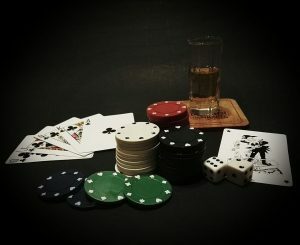 Famous NBA sports bettor and WSOP player Haralabos Voulgaris also shared sarcastic jokes on Twitter and even expressed his long-term commitment to the cryptocurrency while US Poker pro Daniel Cates went to the social media platform to say that he didn’t understand why people were “panic selling”. Can WSOP Attendance Be Affected? According to US Poker, Bitcon’s price drops and bearish market could end up having some effect over the attendance at the WSOP. As the Poker portal reports, the overall attendance of the WSOP might not be affected but the $10,000 events at the 2018 series could end up being attended by fewer players. Namely, the $10,000 events mostly rely on the action from professional Poker players, many of whom hold investments in cryptocurrencies. As was the case in 2008 when the recession drew fewer players to the main events of the World Poker Tour, a further drop in Bitcoin’s price could have a negative impact on the WSOP $10,000 events where a big portion of the players are cryptocurrency enthusiasts. Furthermore, competition at WSOP qualifiers on Bitcoin Poker sites like America’s Cardroom could also drop, should Bitcoin’s price decrease further and big sell-offs reemerge.